Read, Write, Manipulate and Convert 3D file formats within any .NET-based application. Open NuGet package manager, search for Aspose.3D and install. Aspose.3D for .NET is a feature-rich Gameware and Computer-Aided-Designing (CAD) API to manipulate 3D document formats without any 3D modeling and rendering software dependencies. API supports Discreet3DS, WavefrontOBJ, FBX (ASCII, Binary), STL (ASCII, Binary), Universal3D, Collada, glTF, GLB, PLY, DirectX, Google Draco file formats and more. Developers can create, read, convert, modify and control the substance of 3D document formats easily. Aspose.3D for .NET API is user-friendly and can be deployed with any .NET application as easy as copying it without worrying about other services and modules that are installed already. An overview of the capabilities of Aspose.3D for .NET. Aspose.3D for .NET supports the .NET framework.  Aspose.3d for .NET provides an array of advanced algorithms that makes it an all-in-one solution for 3D file format conversion. The conversion process is as simple as changing the file extension to the desired format. All you need to do is to load the source file in an instance of Scene, and call its Save method with appropriate FileFormat parameter. That's it! Aspose.3D for .NET empowers programmers to easily generate 3D scenes from scratch without needing to install any 3D modeling or rendering software. The 3D .NET API also enables to save the scenes in 3D file formats (FBX, STL, WavefrontOBJ, Discreet3DS, Universal3D and Collada) by calling the Save method of the Scene class object. Metadata is structured information that describes, locates and makes it easier to retrieve, use and manage an information resource. Aspose.3D for .NET API allows developers to define a Metadata for the scene. 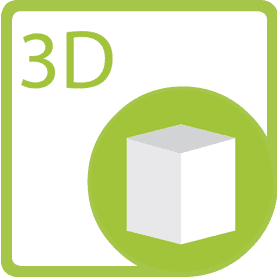 Aspose.3D for .NET API allows the developers to build mesh of various 3D geometric shapes, define control points and polygons in the simplest way to create 3D meshes and point a mesh to multiple instances of a shape type. Developers can also place 3D shapes anywhere on the 3D scene. Aspose.3D for .NET API offers to manage Normal (geometry) and UV on the geometric shapes. A mesh stores the key properties for every vertex at its position in space and its normal, a vector perpendicular to the original surface. The normal is major to shading counts. The normals should be unit vectors. Most mesh formats also support some form of UV coordinates which are a separate 2d representation of the mesh "unfolded" to show what portion of a 2-dimensional texture map to apply to different polygons of the mesh. Aspose.3D for .NET API offers to build a Node hierarchy. The Node is a basic building block of a scene. A hierarchy of nodes defines the logical structure of a scene, and provides visible content by attaching geometries, lights, and cameras to nodes. To reduce memory necessities, a single instance of Mesh can be bound to various instances of Node. Envision that you require a system where a large number of 3D cubes seemed to be indistinguishable; you could spare memory by making one Mesh object when the system begins up. At that point, each time you require another shape, you make another Node object, then point that node to one Mesh. This is how Aspose.3D for .NET APIs manages instancing. Convert a mesh to the triangle mesh because any complex structure can be represented as a bunch of triangles. The graphic software packages and hardware devices operate more efficiently on triangles. The memory layout of Vertex is also important to feed the GPU (Graphics Processing Unit) because the GPU must also know about the vertex layout in order to extract correct attributes from the buffer. 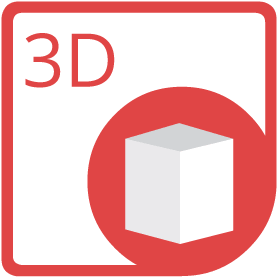 Aspose.3D API is built using managed code that never depends on any external API or software installation on the machine to work with 3D files. It is perfectly customized solution in terms of supported features, security, stability, scalability, speed and price.